World Cafe Live at the Queen, on Market Street in Wilmington. The performing arts venue was built in 1873 as the Clayton House hotel. After declining business, it was renovated into the Queen Theater in 1916. The movie theater closed in 1957, and the building fell into disrepair. It was renovated in the 2000s, and opened as the World Cafe Live at the Queen in 2011. 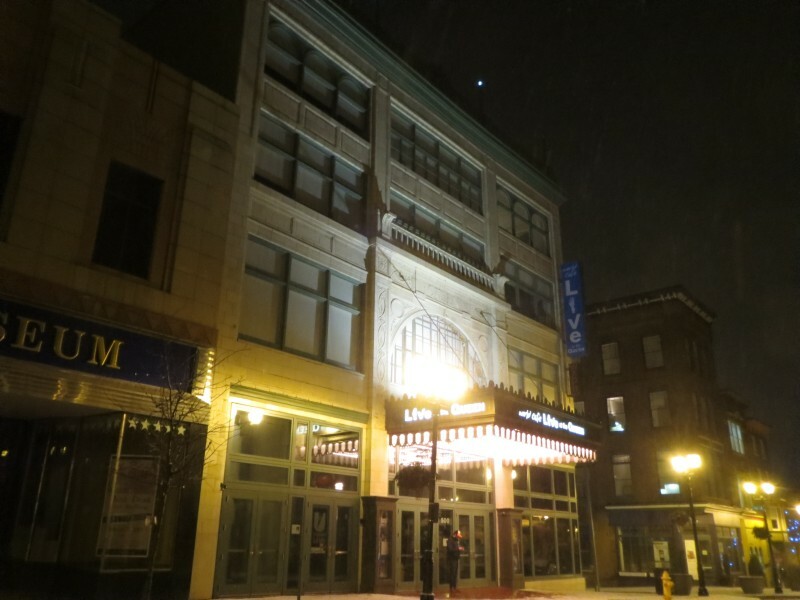 It is now known again as the Queen theater. Photo by xzmattzx.